Rome wasn’t built in a day. And AS Roma weren’t beaten in a day either. Barça came into Tuesday’s Champions League quarter final second leg with a commanding 4-1 lead from the Camp Nou, but although some may have suspected qualification was now a mere formality, the Italians produced the most unexpected of comebacks. And so it is the Serie A side, and not the Catalans, who will be going in to the semi-final draw after they got the three goals they needed and the blaugrana failed to find the target once. Despite a confident opening from the visitors, Roma drew first blood after just six minutes. Edin Džeko received the ball in the area and fended off Jordi Alba’s advance before converting. The mood in the Stadio Olimpico was suddenly somewhat more confident. Indeed, for the remainder of the half the giallorossi piled on the pressure constantly and from all angles. 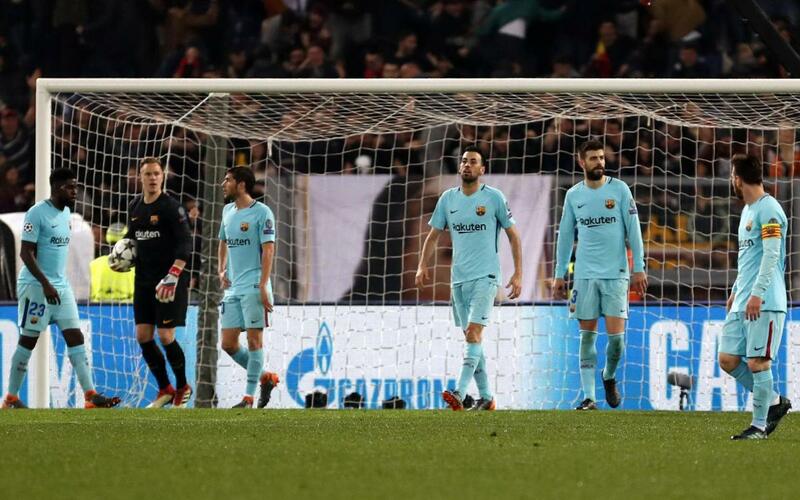 Thanks to Andre Ter Stegen and his defence there was no further damage - but these were unsettling times for Barça fans. Roma were still trailing by two goals at half time, although it certainly hadn’t been for lack of chances. Sadly, matter didn't improve after the break. After thirteen more minutes of relentless pressure from the Italians, Gerard Pique tugged Džeko to the ground. Penalty. Daniele De Rossi converted and Barça were now within one goal of elimination. Other than the occasional Leo Messi moment, Roma continued to produce all the danger. Ter Stegen was keeping Barça in the game, with providential stops to deny both Radja Nainggolan and Stephan El Shaarawy. But with just eight minutes to go, the German was beaten for the third time of the night. It came from a corner, with Greek defender Kostas Manolas heading home – and Roma were now heading for the semi-finals. That was unless Barça could bag a late goal, and they did everything they could do get it. Culé hearts were pounding all around the planet, and Ousmane Dembélé very nearly had it with a long range lob into an undefended goal. That one skimmed wide, Roma played down the clock and the whistle blew on the game, on the tie and on Barça’s Champions League dreams for another year.